HowToLearnEnglish was formed to offer a unique reference point on expert advice on learning the english language. How To Learn English is a great reference site that helps people of all ages, cultures and races learn English. Here at Learn English we know that there is a lot of information available on the Internet. However, not all of it is up-to-date, accurate or even interesting! That is why we have worked hard to create a website that people can bookmark and refer to whenever they need a refresher course in English. There is lots of information to help people learning English as a second language, as well as help and advice for parents helping their children with their English homework. You can easily find the information you are looking for by taking a look at the categories available. All of the information available on this English website have been created and researched by English educators and English experts. 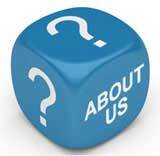 This is why we are confident you will find the articles informative, interesting and relevant. You can find information such as in-depth articles on English grammar - what it is, when to use it, common uses and explanations, and so on. You will also be able to help your children read, speak and write by looking at the learning activities to find out fun and exciting games to play together. How To Learn English is a goldmine of English information that you will enjoy reading and learning from time and time again. HowToLearnEnglish was founded by John Rowlinson, the founder of PtS. John, through PtS, is involved in a number of ventures including software and property companies. A percentage of revenue from these activities goes towards funding HowToLearnEnglish and a number of similar sites.